With cyber security taking the front seat in the boardroom, CISOs now have more visibility than ever before. But, many are struggling to gain the visibility they need to be effective and searching for practical techniques to gain full control over their assets for continuous security and compliance. 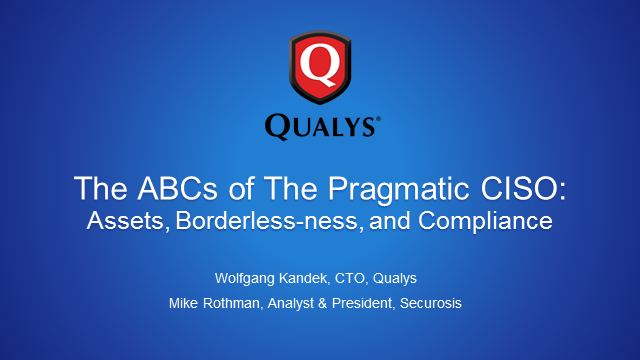 Join this webcast where we'll cover the ABCs of being a pragmatic CISO.